Students know they are in for lively and challenging discussion when Dual Enrollment English Teacher Kristen Retana begins her live sessions with her favorite saying, "I'm just here to nerd out with you." She says the kids get excited and embrace her teaching philosophy that "Students learn through their experiences and knowledge of talking to others." Kristen says she presents students with rigorous curriculum then gives them the leeway to create their own learning experiences. 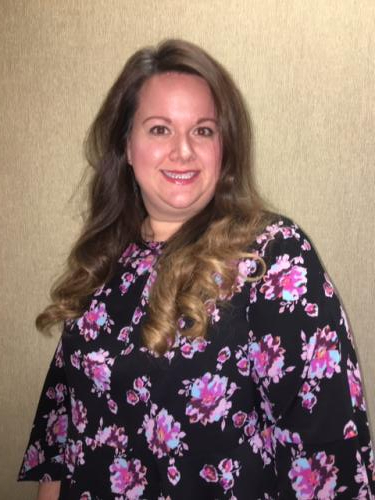 This is her first-semester teaching college-level Literature and Composition at University View Academy after time in Zachary schools and the East Baton Rouge Parish system. Kristen says what impresses her about teaching online is the individual, personalized instruction she can give students. She says it's "...really nice to have a 30-minute, one-on-one discussion with a student..." during a phone call or an extra online live session that she couldn't do in a traditional brick and mortar classroom. Her teaching career began later than most. She says she was a "late bloomer figuring out her path." She didn't start college until five years after graduating from high school, but her passion of working with young people, combined with her love of English means "It was exactly my place to be," she says. Kristen went on to get her Master’s Degree in English and wants to pursue a Ph.D. in Education. Being new to University View Academy, she's still learning faces and names but has high praise for the encouragement and support she gets from fellow teachers. "I am hands-down working with the best group of colleagues I've ever had in my career," she says. Teaching Dual Enrollment courses means Kristen has to rely on her creativity when it comes to teaching. "We get a lot of autonomy and choice, and that allows me to flourish and grow," she says. That growth shows when she tells her students they can nerd out together.